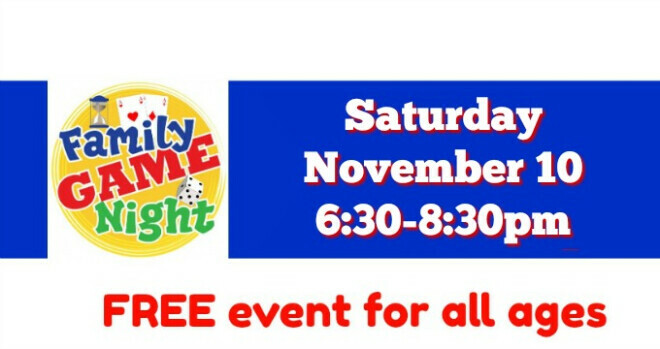 Join us on Saturday, November 10 at our 2nd Annual Family Game Night! This is a free event for all ages. Join us at 6:30pm in the Joy Center. We'll have games for all ages, snacks and tons of fun! Please bring a snack to share that starts with the first letter of your last name. For instance, the Mooney family might bring muffins! Have fun with it! No sign up required, just come! Please, no unsupervised children.